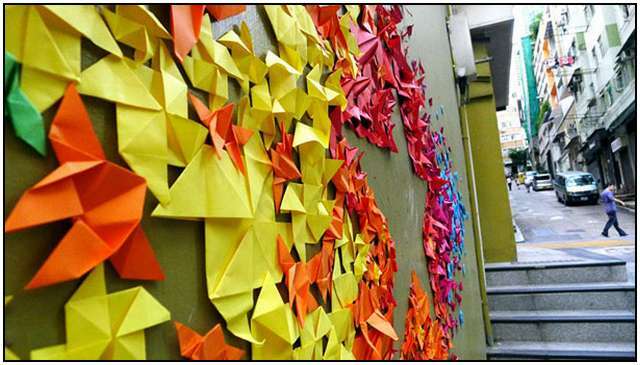 French artist Mademoiselle Maurice creates incredibly colorful origami street art that may look naive at first glance, but in fact it is deep, sensitive and closely connected with the events encountered during her daily life. After she grew up in the mountains of Haute-Savoie (France), studied architecture in Lyon and worked in Geneva and Marseille, she lived one year in Japan. 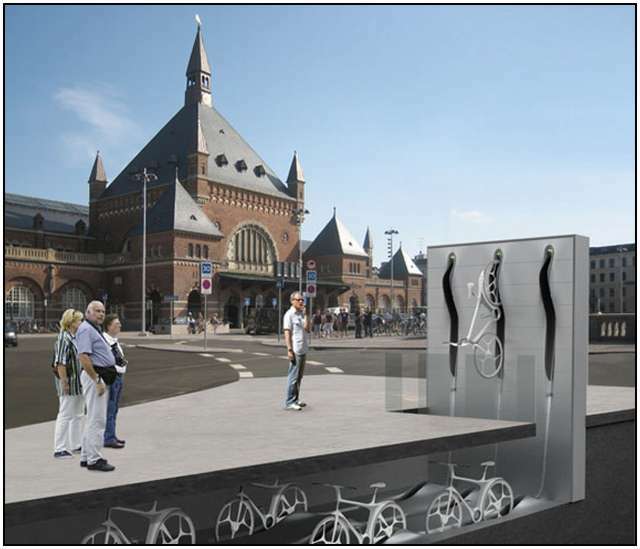 RAFFA Arhictecture has submitted this new bike sharing system for the city of Copenhagen that could increase ridership from 37% up to 50% by 2015.The system features real-time GPS tracking, an online reservation system, and attractive bikes that can be stored anywhere. The bicycles should function as censors and inform the system about certain behaviors, so that the system can react according to the situation. To predict the performance of a system, the entities have to exchange information. 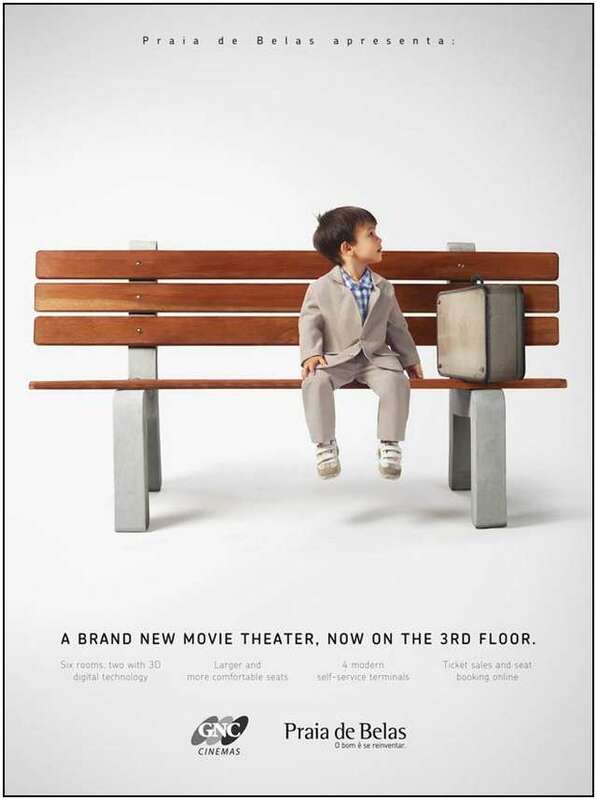 An internet-based platform can analyze the different interests and could then manage possible conflicts. The bicycles are equipped with GPS and W-Lan, so they are connected to each order and can inform the system about their position and status. Mike Doyle is a master LEGO builder. 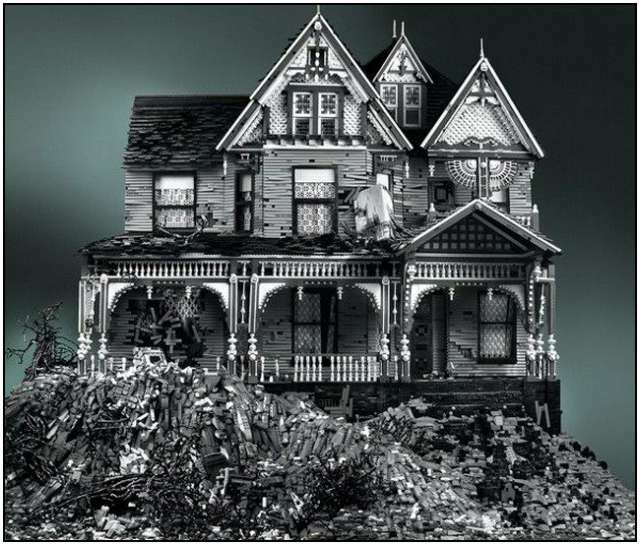 But instead of spaceships, sports cars or life-size reproductions of celebrities, he uses his bricks to construct detailed models of dilapidated victorian era homes. In a study of life’s fragility, our focus on the material world, and how man’s creations are no match for the unrelenting approach of nature. His latest creation, Victorian on Mud, is built from 110 to 130,000 LEGO bricks and represents about 600 hours of labor. And is easily one of the most detailed LEGO creations I’ve ever seen. A Tennessee based but Malaysian born artist known as Kenjio, real name Daniel Lai makes use of very captivating and creative techniques of paper folding to come up with some very inspiring book sculptures. 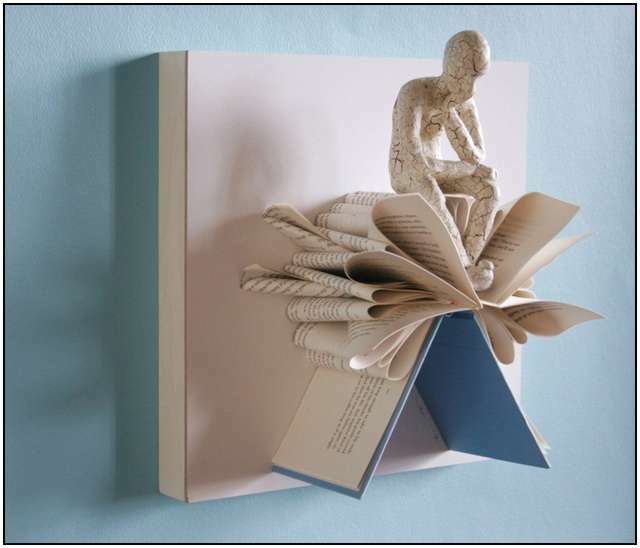 Every book that Lai uses seems to blossom like a flower outwardly in different paper waves well folded within them and then harnessed with excellently made masculine clay figurines seemingly deep in thought or carrying out some action.